In 2011, as in 2010, iOS received a lot of attention from Apple. Apple introduced significant updates to its flagship iOS devices—the iPad and the iPhone. It added a new buying option to the App Store, perhaps rescuing the magazine industry in the process. It premiered an insanely powerful and brilliantly designed piece of software that proved unequivocally that iOS devices aren’t just for consumption. And, of course, the company unveiled a significant upgrade to its touch-based operating system itself. And then a not-so-tiny upstart named Amazon tried to leap into the tablet computing fray, too. For fans of multitouch, 2011 was a big year. Let’s put our fingers on precisely why. In March, Apple released the sequel to the world’s first successful tablet computer. The iPad 2 was acclaimed for what it added: two (admittedly mediocre) cameras, a zippier processor (the dual core, Apple-designed A5 chip), twice the RAM (512MB), and the magnetic appeal of the Smart Cover. But even as it added all those features, the iPad managed to take a couple significant elements away—namely, weight and thickness. The iPad 2 is just two-thirds as thick and 88 percent as heavy as the original. The iPhone 4S became available in October. It scored the same speedy A5 chip that powers the iPad 2, a dramatically upgraded rear-facing camera, and an overhauled dual-band antenna design. But the feature that got everyone talking was the feature that got everyone talking: Siri. With its still-in-beta voice-powered virtual assistant, the iPhone 4S can handle a multitude of tasks for you, based solely on the verbal instructions you provide it. Despite the fact that Siri was hampered by occasional outages, early 4S adopters loved its power, its sense of humor, and its uncanny ability to understand just what you wanted it to do. Apple hasn’t said when or if Siri will come to the Mac, the iPad, or earlier iPhone models, but ask any iPhone 4S user who has come to depend on Siri for sending texts, setting reminders, and making appointments: The more ubiquitous Siri becomes, the better. 2011 was also the year the Verizon iPhone rumors were finally put to rest; Verizon got the iPhone 4 back in February. With the release of the iPhone 4S, Sprint became the third U.S. carrier, and regional carrier C Spire became the fourth. October also brought iOS 5, the newest incarnation of the operating system that powers the iPhone, iPad, and iPod touch. With it came Notification Center, a smart solution for the increasingly invasive blue alert boxes that had come to characterize the iOS experience. 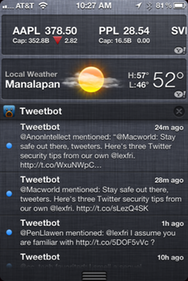 But iOS 5 didn’t just make alerts more manageable; it also introduced long-awaited niceties like wireless syncing, over-the-air iOS updates, iMessage, Reminders, Newsstand, system-wide Twitter integration, AirPlay mirroring, and more. 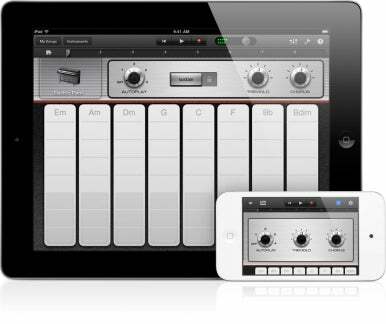 Apple launched the iPad incarnation of GarageBand in March, alongside the iPad 2’s release. An update at the beginning of November brought the app to the iPhone as well. The app combines Smart Instruments, loops, a drum machine, and support for devices like electric guitars and USB keyboards and microphones. In short, it turns an iOS device into a portable music studio. The app makes amateur musicians sound good, and it offers plenty of powerful performance for professionals, too. If any one app raised the App Store bar—and proved that iOS devices can and should be used for creation just as much as consumption—GarageBand was that app. Speaking of the App Store, 2011 saw one significant addition: iOS subscriptions. Introduced in February, subscriptions afford developers the option of taking recurrent payments—on a weekly, monthly, bi-monthly, quarterly, semiannually, or yearly basis—for digital services. The first app to take advantage of subscriptions was News Corp’s The Daily, with its $1 a week issues (or $40 for the year). Subscriptions caught on, as a steady parade of major magazine publishers brought their publications to the iPad. Over time, Apple loosened its restrictions on how publishers could offer in-app subscriptions, allowing those publishers to offer free or discounted digital access to print subscribers. Apple didn’t relent on some stricter policies, though; apps like Amazon’s Kindle were forced to remove links to their online stores to remain in compliance with Apple’s App Store rules. October also saw the release of iCloud, Apple’s synchronization service for Macs, PCs, and iOS devices. With iCloud, you can backup your iOS device without needing a computer at all; sync iWork documents, contacts, emails, and calendars; locate your iOS devices; and more. With iTunes in the Cloud, you can re-download your iTunes Store purchases from your iOS devices, and newly-purchased apps download to all your devices automatically. And with iTunes Match, Apple’s recently introduced $25 per year iCloud add-on, you can store your music library in the cloud and wirelessly access it from your iOS devices. Numerous iPad competitors came; most of them went. The RIM PlayBook was dead on arrival; the Motorola Xoom failed to catch on; and HP held a fire-sale to divest itself of its TouchPad inventory. The only device to make any major waves in the industry thus far is Amazon’s Kindle Fire, though reviews have been mixed at best. Some conclude that the Kindle Fire makes a great Kindle, but a lousy tablet. Perhaps that’s why Apple doesn’t seem that worried about it. Predicting what’s next for Apple and the iOS ecosystem is never easy. And though the iPhone 4S was a zig when many expected an iPhone 5 zag, Cupertino spent much of 2011 ticking off long-rumored items on its list—new U.S. carriers, a new iPhone, and a new iPad. It seems certain that 2012 will bring another new iPhone and new iPad, but questions remain: Will the next iPhone sport a bigger screen? Will the next iPad score a Retina display? How many models of iPad should we expect? Is a 7-inch iPad in the offing? There are but three ways to find out the answers: Get hired by Apple as a top-level executive; follow along with all the Apple news Macworld reports upon next year; or wait until the tail end of 2012 for next year’s roundup.